Buffalo Trace’s Virginia-based outpost, A. Smith Bowman, makes a ton of whiskey, but they also make rum — at least, experimentally. 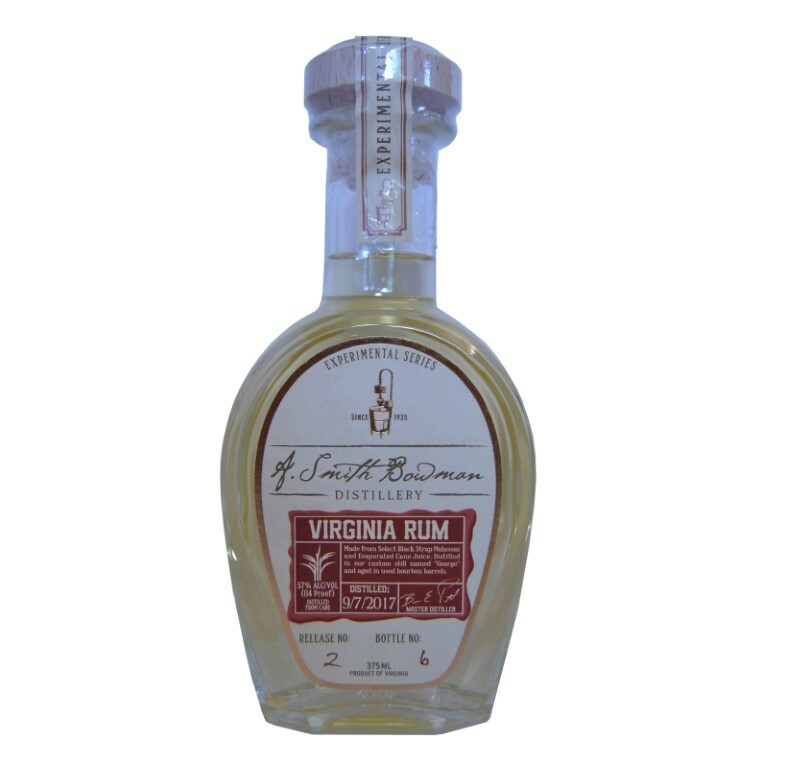 Here’s a new entry into Bowman’s Experiment Series collection called, simply, Virginia Rum. If hot (as in boozy) rum’s your game, Bowman’s experiment will undoubtedly deliver. A very faint yellow in color, it’s a scorcher on the nose, loaded with oily petrol notes, pepper, and only a nod in the direction of its sugary underpinnings. At full strength, it’s manageable but still a bit tough on the palate. Some water helps to coax out the more traditional rum character it has under its eaves — some coconut and a touch of pineapple, with notes of caramel apple melding with just a hint of vanilla. The finish is bit fiery, even with a tempering of water. All told, it’s entirely well-made but a quite youthful rum but, while it may be experimental for Bowman, it probably doesn’t much change the game for rum fans. It’s altogether rather traditional, albeit bottled at a decidedly hefty abv. Local area rum fanatics may want to scout it out just to see what the home team can do, well outside of the Caribbean, but the rest of us can probably skip the trip to Fredericksburg. Local area rum fanatic right here! I love A.Smith Bowman but not their vodka and gin. Overpriced. Their darker stuff is pricey but worth it.